The January 2017 NSW housing approval numbers from the Australian Bureau of Statistics (ABS) indicate a downward trend with a drop of 26.5% between July 2016 and January 2017, according to the Urban Taskforce. 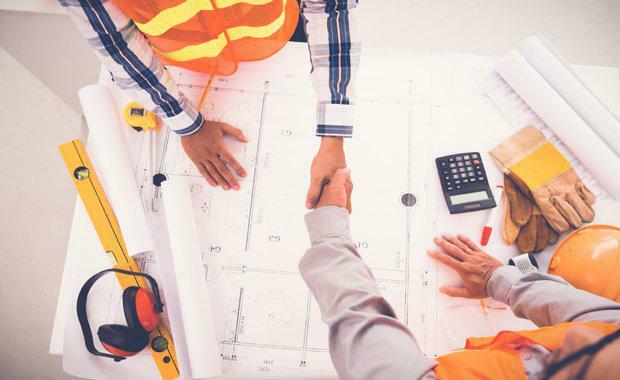 “The January 2017 ABS trend figures for NSW home approvals indicate 4,857 approvals which is down from a high of 6,611 in July 2016,” Urban Taskforce CEO Chris Johnson said. “The difference of 1,754 approvals represents a 26.5% fall which is a big worry as the Berejiklian government has linked housing supply to housing affordability as a major priority. 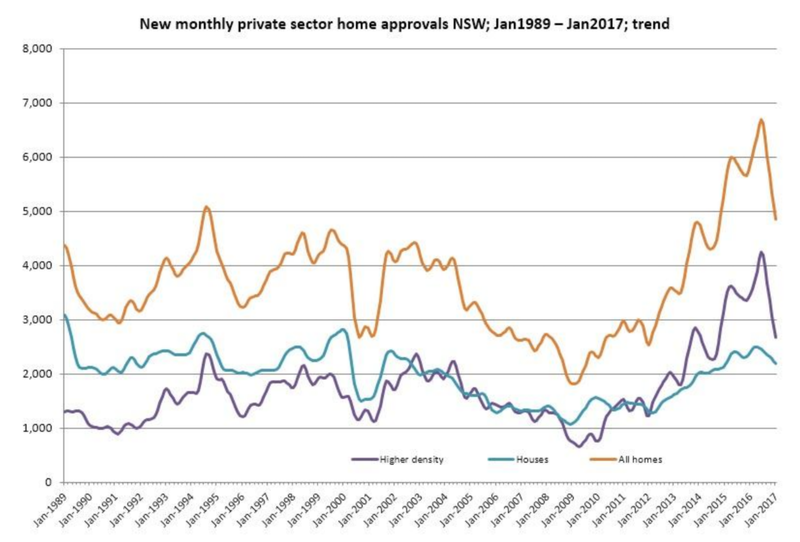 “There is no doubt the middle of 2016 was an exceptional high point in housing approvals in NSW and that the downward trend is returning to a more normal position. "The worry, however, is that we are still not achieving the average annual number of homes required over 20 years for Sydney," he said. The data revealed that the biggest drop in approvals occurred for higher density apartments which saw 2,674 approvals in January 2017 compared to 4,196 in July 2016. Detached houses remained relatively constant - only dropping 10% from 2,415 in July 2016 to 2,182 in January 2017. “Over the same half year Victoria has performed more strongly with a slight increase in all home approvals from 5,684 (July 2016) to 5,862 (January 2017)," Mr Johnson said. New South Wales also suffered a drop in the value of non-residential approvals over the six month period. In August 2016 approvals were for a value of $1,092,171,000 while in January they dropped by 27% to $793,420,000. “The slide in approvals in housing comes just at the time the Berejiklian government is aiming to ramp up supply to have an impact on housing affordability," Mr Johnson said. "With an average of around 37,000 new homes required for Sydney each year for 20 years, in boom times we should be over 40,000 a year but to-date the highest has been 33,000.